"Salmah" is the name of one of the special salon or a Muslim woman where to Batam cabamg first KDA office located at Junction Block B No. 5 Batam Center, launching on August 9, 2009. 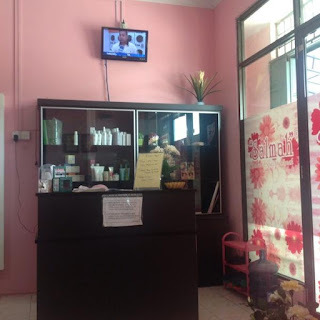 Salmah Batam hope of course can always provide the best service to women, both hair care, face or body, including light consultations on issues of beauty.